Invested by Shanghai Shibang machinery Co., LTD, Nantong Shibang machinery Co., LTD as the main body, the mechanical manufacturing project - Shibang machinery Qidong production base is being constructed in an order way since May 2010. It is expected that this year, the first stage project will be used in July and the second stage of the project may complete design in May. Binhai industrial park is located in the "estuary, Shanghai north wing" Qidong Jiangsu, with its unique traffic location advantages and rapid development momentum attracting numerous high-quality enterprises. 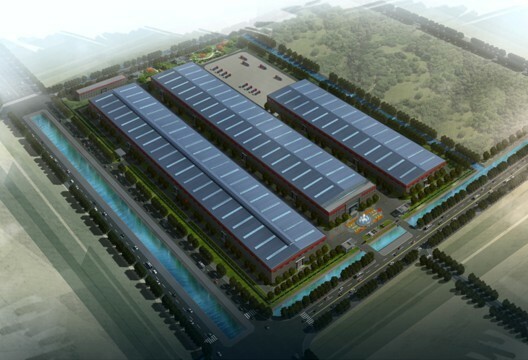 Qidong production base has a total construction area of 71736 square meters. After the completion of the project, it will mainly manufacture environment protection equipment, large crushing system for sand making, and precision micro powder equipment with advanced international level high technology content product. It is reported that the second phase of the project design has been completed in May, recently will design bidding construction. When asked for the next phase, the project construction manager said: "With first period engineering construction experiences and lessons, whether in the grasp of the geological condition, or for the construction team, the second phase of the project supervision of construction will greatly quicken the speed." "Energy conservation and environmental protection" is a factor taken into consideration of Qidong base design. Therefore, Qidong base construction adopts currently industrial design mainstream structure form - whole steel structure, which has properties of good anti-seismic, wind resistance, sound insulation. Especially the materials can be recovered with no pollution, and the energy-saving criteria can reach 50%. All that shows the same view with SBM concept of energy conservation and environmental protection. Center office buildings of original design are the prominent window of whole Qidong base, completely transparent noise-storey glass build a beautiful atmosphere for production workshop offices. In addition, the transparent way show originality design, giving customer a more intuitive understanding to production site conditions when they are having tea in the meeting hall. "In Binhai industrial park, SBM dose not only have the largest production base, but the overall appearance is quite beautiful in the industry. Our goal is to build the whole industrial park landmark." Construction manager said with confidence. SBM group President said after Qidong base put into production, the group company’s production capacity will achieve new skip-type development. It will become the milestone of development of the enterprise. Meanwhile it will drive Qidong area machinery manufacturing to optimize and upgrade, becoming the important development engine of nation’s coastal development strategy.